Many DJs have been asking for a four-channel standalone rig for a long time. Denon DJ has finally delivered on this. 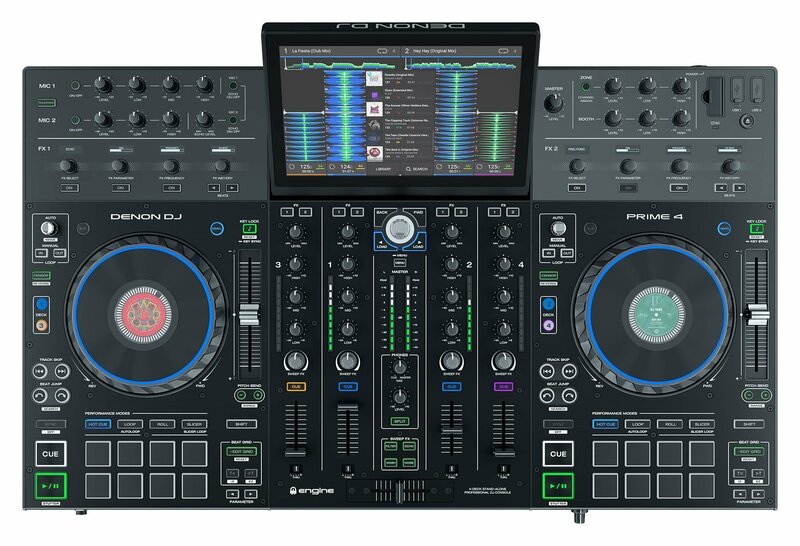 The company announced that it will release the first-ever standalone DJ unit with four decks, named the Prime 4. Other than four internal decks, the Prime 4 has a 10’ tilting touchscreen, a build-in hard-drive, four USB inputs, among a multitude of other features. The rig will run on Denon’s Engine Prime software, which should be able to read and import playlists and hot cues from Serato DJ Pro, Traktor Pro, and Rekordbox. One of the more unique features that the Prime 4 will offer is an independent Zone Output. The device will have a second set of XLR audio outputs, which means that it will be possible to send a separate playlist to another room. Denon announced that the price of the Prime 4 is $1,699 and will be available for sale in March 2019. Interestingly, the Prime 4’s price is set to the same as Pioneer’s XDJ-RX2, the two-channel all-in-one system that runs on Pioneer’s Rekordbox. Although Pioneer has become the industry standard for festivals and nightclubs, this will surely put a blow on Pioneer DJ’s stronghold in the DJ gear market. While Denon’s Prime 4 is obviously not for main stage or festival use, it will be an excellent way for Denon to expose mobile DJs to their products.